Identifying the triggers that could potentially lead to the onset of a clinical eating disorder, disordered eating, or obesity is unfortunately not hard to do these days. 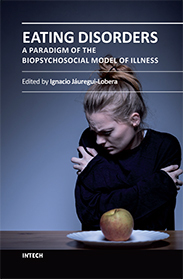 The media, peer pressure, the hurried and bustling family life in the twenty-first century, and a host of other environmental and genetic factors contribute to these increasingly critical and widespread public health problems. An article in the New York Times entitled “Teenagers Find Health Answers With a Click” (3-20-01) revealed that teenagers are turning to the Internet for answers to their health questions. Sadly, in the face of such interest, there has been a proliferation of pernicious pro-anorexic websites and chat rooms where kids can go to learn how to become ill and to make themselves unhealthier. The good news is that there’s a place for young people to go on-line to seek helpful information and answers to their questions about body image concerns, obesity prevention and eating healthfully. 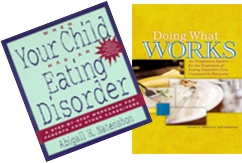 Abigail H. Natenshon, author of When Your Child Has An Eating Disorder, and Doing What Works, an Integrative System for the Treatment of Eating Disorders from Diagnosis to Recovery introduces www.empoweredkidz.com as part of www.AbigailNatenshon.com a website designed for young people, ages seven through young adult. Abigail is a seasoned psychotherapist specializing in the treatment of eating disorders, children and families, who provides a powerful educational resource for young people, encouraging them to formulate ideas, and share confidences on subjects of importance to them. The interactive format of this site invites kids to ask questions that they may have been too afraid or embarrassed to ask and allows Ms. Natenshon to respond to each child’s inquiries and concerns personally, privately, and with professional expertise and sensitivity. Ms. Natenshon conscientiously recognizes her reader’s concerns, and directs them to appropriate resources for assistance through email. Organized like an interactive magazine, the site includes 25 kid-friendly articles about healthy eating, obesity, achieving ideal weight and learning healthy methods to attain and maintain it. In addition, the site addresses eating disorders and their prevention, helping kids to assess potential problems and nip them in the bud. Providing links to further resources, information is available through this website for family members and health professionals who wish to become better acquainted with their child’s concerns, more knowledgeable about attitudes and behaviors that can result in healthy eating, and more facile at introducing life long habits that go hand in hand with healthy eating. Natenshon provides a backdrop for a wealth of information geared to directing children and families away from damaging beliefs that often lead to dysfunctional eating habits and/or eating disorders, such as dieting is the best way to lose weight, food is fattening, eating fats and desserts is unhealthy, it is okay to skip meals, and you should only eat when hungry.